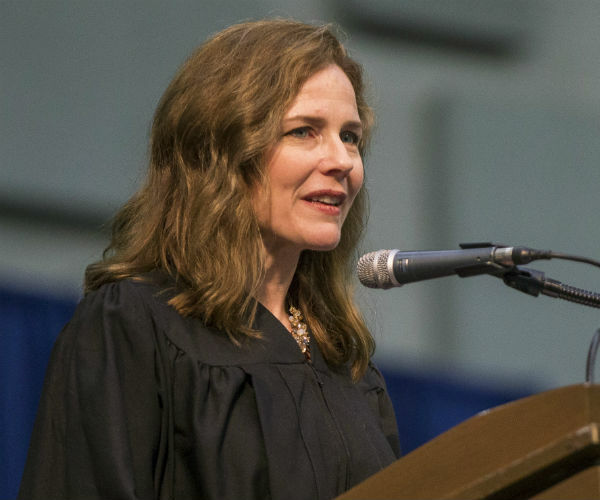 President Donald Trump last year told confidants he was planning to replace Supreme Court Justice Ruth Bader Ginsburg’s seat with conservative Circuit Judge Amy Coney Barrett, reports Axios. “I’m saving her for Ginsburg,” Trump said as he was deliberating over filling Supreme Court Justice Anthony Kennedy’s seat, according to three sources who spoke with the news outlet. Ginsburg, 86, just finished her third battle with cancer. She returned to the bench in early February after missing a series of cases due to surgery for lung cancer. Axios reported that Trump picked Brett Kavanaugh over Barrett last year over concerns her staunch opposition to abortion rights would lose the votes of Republican Sens. Susan Collins of Maine and Lisa Murkowski of Alaska. Trump, though, changes his mind all the time.